There’s something wonderful and comforting about the flavor combination of BBQ chicken. It’s comforting because it reminds me of a a BBQ with friends and family on a warm summer day. It’s wonderful because it’s tasty. Wonderful and comforting is a dynamite combination – and not because BBQ chicken is often spicy! This is a recipe that you can enjoy all year round, because the chicken gets cooked in the oven. And, the skin still gets crispy, so if you like chicken skin, this one’s for you! We usually enjoy this with mashed sweet potatoes. 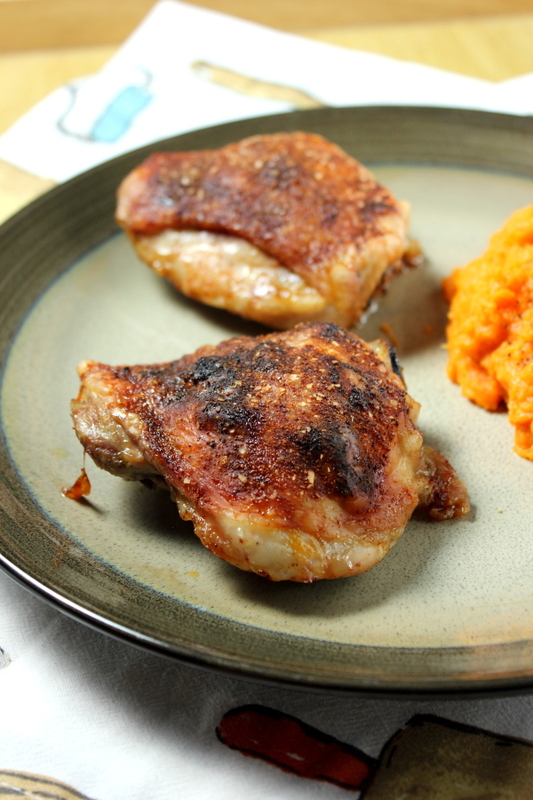 Look for our mashed sweet potato recipe next week! Peel skin back from chicken. Sprinkle 1/4 tablespoon per chicken thigh directly on the meat. Sprinkle the remaining rub (divided equally) on chicken skin. 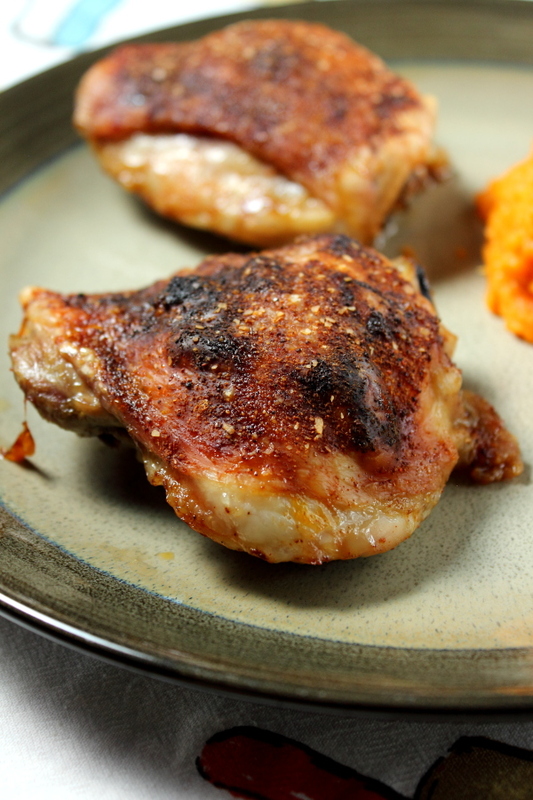 Bake for 35 – 45 minutes or until the skin is crispy and the chicken is 165 degrees. 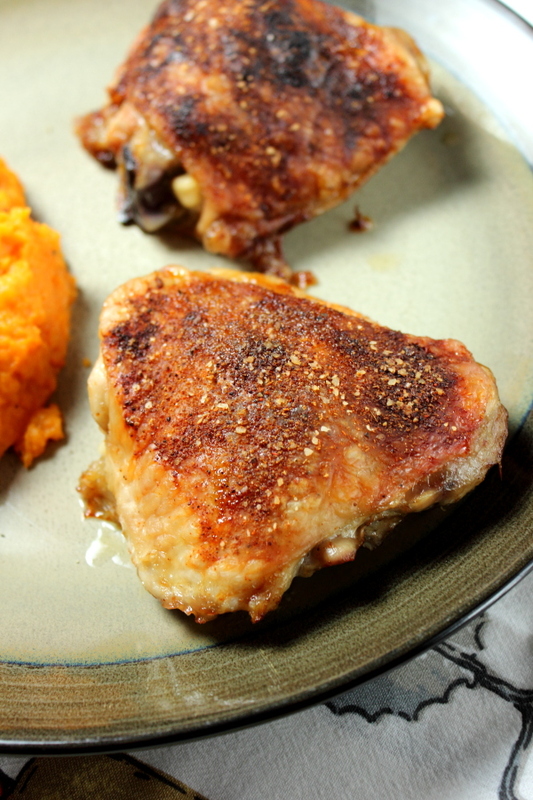 What will you have with your BBQ Roasted Chicken Thighs? Let us know in the comments section!